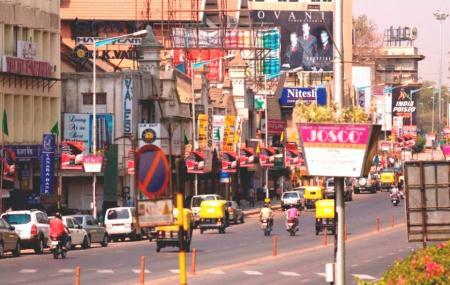 Popularly known as the MG road, this road runs east from Trinity Circle at one end to Anil Kumble circle at the other. This road is intrinsic to the history of Bangalore as it was known as South Parade in pre-independence era and was renamed as Mahatma Gandhi Road on 26 February 1948. This road is lined on one side with retail stores, food outlets and restaurants apart from housing many office buildings, shops and theatres. Any trip to Bangalore remains incomplete without having visited the famous M. G road. Love this? Explore the entire list of places to visit in Bengaluru before you plan your trip. Fancy a good night's sleep after a tiring day? Check out where to stay in Bengaluru and book an accommodation of your choice. How popular is Mg Road? People normally club together Sankey Tank and Phoenix Marketcity while planning their visit to Mg Road.